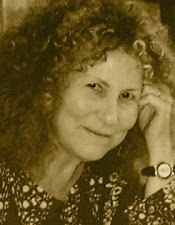 A Year of Being Here: Amber Coverdale Sumrall: "Fifty Robins"
beads on the bare branches of the neighbor’s walnut tree. gleefully snagging drowning worms from the saturated soil. outnumbered, they know it is futile to attack. their tangerine breasts small hearths in the grey morning. "Fifty Robins" by Amber Coverdale Sumrall. Published online by Gratefulness.org (date unknown). 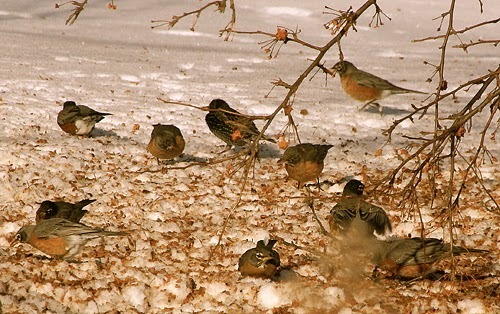 Photography credit: "Part of a Feeding Flock of Winter Robins," by Jim Cerny (originally color).